Available 4 remaining in stock! Due to size and weight limitations, this product cannot be delivered using regular shipping methods. 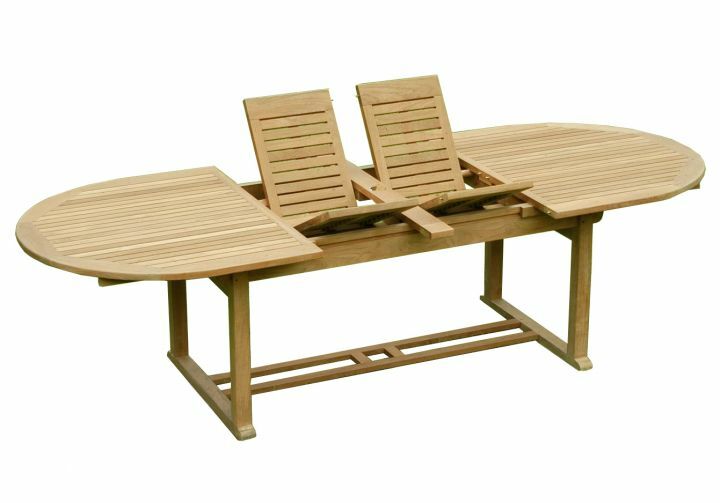 The product will require shipping by truck with scheduled local delivery. Truck deliveries are delivered curbside. The driver will bring your order to the back of the truck, but is not responsible for unloading your items nor is he required to assist in bringing your items indoors. Have adequate help lined up for unloading your items. Be sure to inspect all items delivered before signing. If no comment is made on the delivery bill you sign, you will be accepting the delivery as complete and undamaged unless noted on the delivery slip. 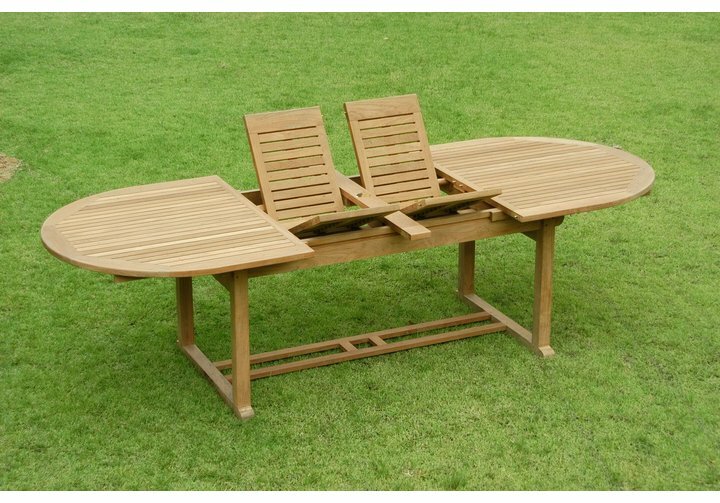 There are currently 0 reviews for the Teak Double-Leaf Extension Table.